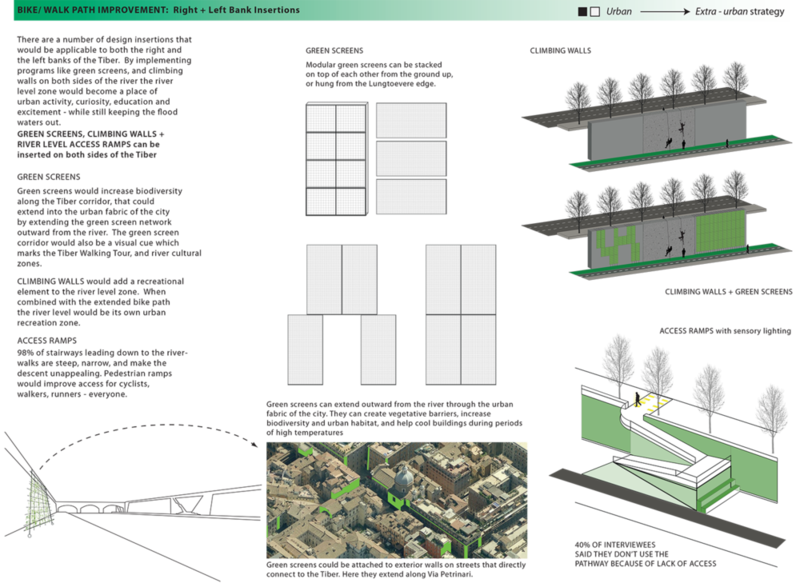 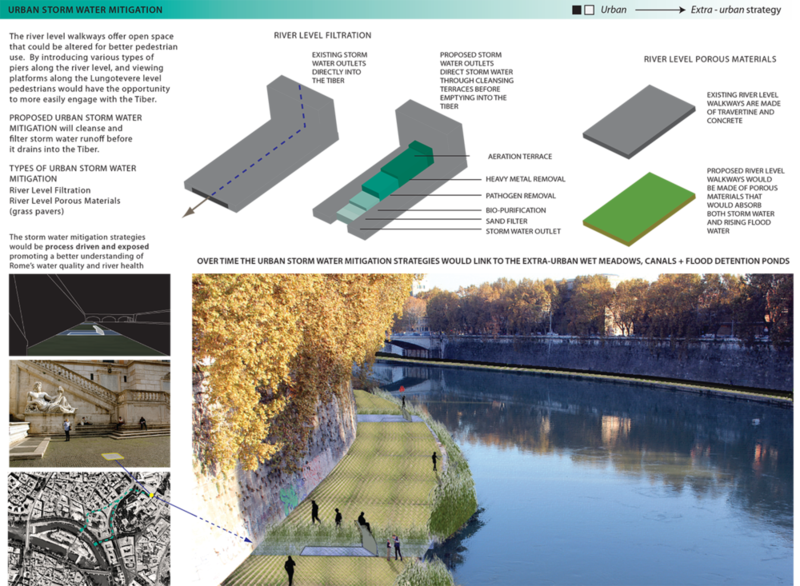 TIBER RIVER : Tiber Re-Bourne // Research & Design // Rome, ITALY // Tiber Re-Bourne proposes site specific design insertions throughout greater Rome that will tackle flooding complications through ecological means, and cultural disconnections through human scale design insertions. 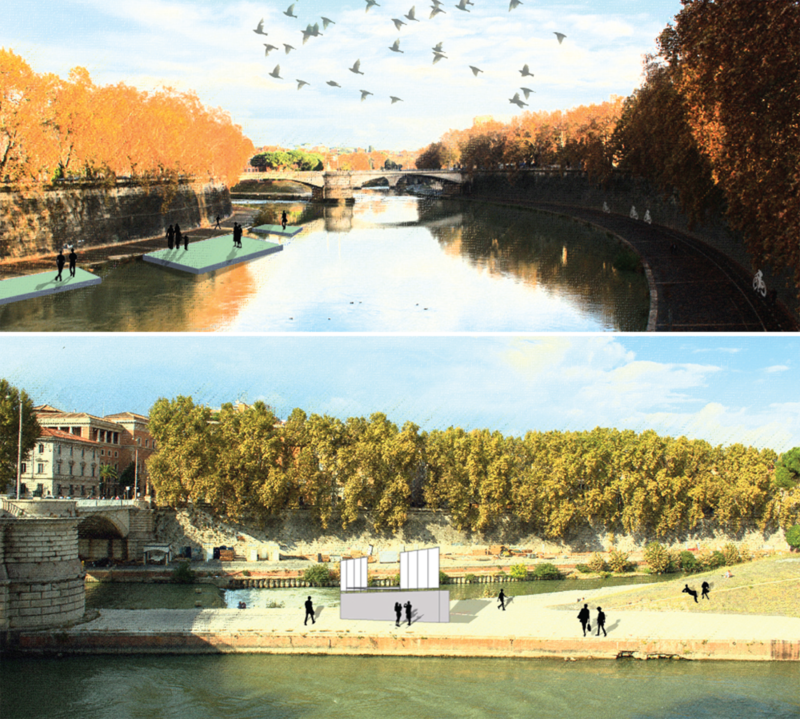 The result is a humanely scaled landscape that encourages engagement with the landscape from the perspective of the river that flows through it. 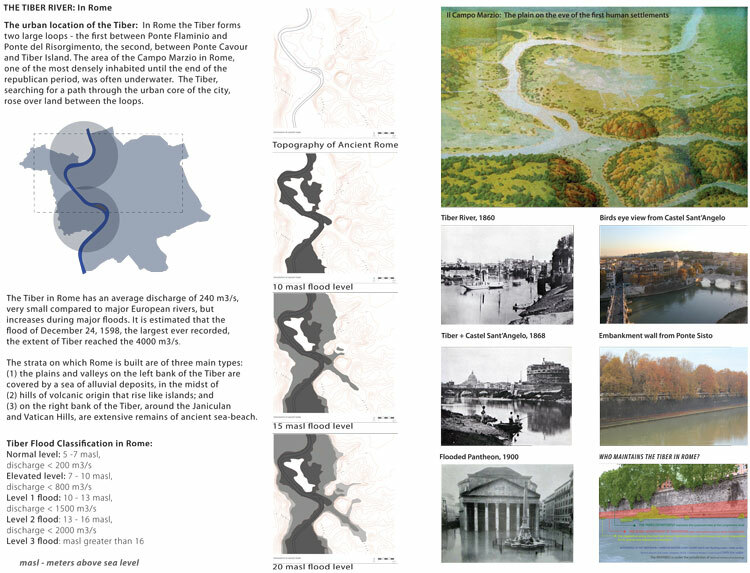 Digital copies of Tiber Re-Bourne available upon request.